Mr. O’Brien brings over 30 years’ experience assessing and managing risks associated with environmental liabilities. Mr. O’Brien has examined environmental liabilities specifically associated with major port operations, dredging, Brownfields, and Base Realignment and Closure. Mr. O’Brien served as an advisor to the Institute for Defense Analysis (IDA) and served as Chairman on the committee dealing with contaminated military properties. Mr. O’Brien has worked in the Port industry for over 15 years and has served as a consultant and advisor to many Ports, Cities, and Developers throughout the Country. His support services include assessing and managing environmental risk, environmental compliance, permitting, litigation, legislative strategy, and environmental investigation and remediation. 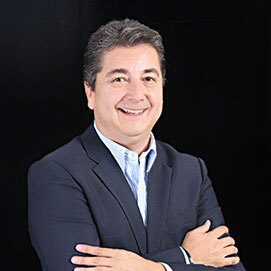 Xavier is an Ecuadorian expert in environmental and risk management and sustainable development. He has over 20 years of experience in leading organizations and projects. Successful experience in direction and coordination of projects in areas such as sustainable natural resources management, eco-tourism, conservation of biodiversity, vulnerability reduction, environmental impact assessment, pollution prevention, environmental education, communitarian and citizen involvement, social environmental conflict resolution, urban environmental management, implementation of viable productive alternatives, improvement of industrial processes, among others. Ample experience in management and effective attainment of funds for project financing, through bilateral, multilateral, governmental, private and philanthropic organizations at a national and international level. Around 120 projects financed with external funds. Responsible for obtaining 20 million dollars from the World Bank for the Project of Technical Support for the Environmental Management in Ecuador in 1995. Establishment of strategic alliances with local governments and private sector which has resulted in obtaining important financial resources for environmental management in Ecuador and Latin America. Xavier was Vice-minister of Environment of the Ministry of Environment of Ecuador; Chair of the IUCN´s South American committee of members; Member of the Board of Directors of Fundación Natura Regional; National Executive Director of Fundación Natura; CEO for the Sustainable Forest Management Corporation “COMAFORS”; Member of the Advisory Board of the GTZ in Ecuador; Consultant of the Ministry of Environment and the World Bank (General Coordinator of the Project for Technical Support to Environmental Management “PATRA” BIRF-3998-E); Consultant – National Coordinator of the PREANDINO program of the Andean Development Bank “CAF”; Dean of the Environmental School of Equatorialis University; Consultant of Equitable Origin and President and CEO of Latin American of the Canadian Company Prairie BioGas Ltd.
Peter is a geologist and geophysicist with over 25 years’ experience in both academic and consulting posts. His background and interests lie in the application of geophysical techniques to geological, environmental, and energy problems around the world. He has conducted a number of studies applying geophysical techniques to fundamental geological and tectonic questions, and has published studies ranging in scale from microscopic grain mechanics to the behavior of the Earth’s internal magnetic field. He has performed field-based studies throughout the western United States and in remote areas of Papua New Guinea, Oman, and Central and South America. He has participated in the design and development of experimental apparatus both in the laboratory and in field studies. As a consultant, Peter has conducted and interpreted geological and geophysical investigations in a variety of former military bases, mine sites, and geothermal resource areas. He has managed hydrogeologic investigations at many Superfund sites, and has developed and conducted numerous, diverse surface water, ground water, and soil investigation and remediation projects, and fundamental studies with emphasis on predictive modeling of hydrogeologic and hydrothermal systems. His experience in consulting includes design and interpretation of shallow geophysical methods and borehole geophysical techniques and the use of 3-D visualization software. 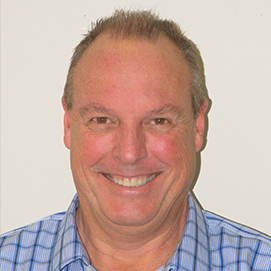 Peter is experienced in inverse modeling techniques, data evaluation and interpretation, assessment of remedial technologies, cost estimating, budget and report preparation, project management and agency negotiations. Jim is a California Certified Hydrogeologist with over 20 years’ experience investigating environmental conditions in California, Hawaii, and Nevada. Jim has conducted environmental assessments at sites ranging from residences and service stations to manufacturing facilities and military installations. 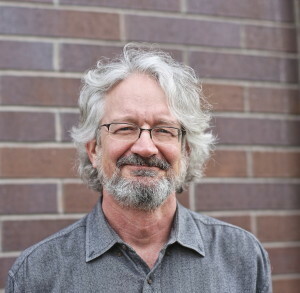 Jim’s expertise includes aquifer testing, ground water supply assessments, geomorphology, storm water protection, and evaluating potential geologic and hydrologic impacts of large-scale land development and water supply projects. Jim has broad experience in supporting transportation projects in both rail and shipping. Jim is currently managing characterization and remediation of multiple sites including a former industrial and warehouse facility, where impacts include metals and pesticides in soil, and petroleum and volatile organic compounds in ground water. He is also conducting studies of surface and ground water supply and quality for a small municipality in South America. Song is an exceptional environmental professional with 25 years’ experience in the U.S., China, Canada, and South America. He holds three master’s degrees in the environmental field and possess broad and thorough knowledge in engineering, geology, and chemistry. Song is currently licensed/registered as a Professional Engineer and Certified Environmental Manager in the state of Nevada, as a Professional Geologist in the state of Utah, and as a Professional Chemist in British Columbia, Canada. He has in-depth practical expertise with environmental investigation, engineering design, water resources, waste management, and research and development and is capable of solving complicated environmental problems. 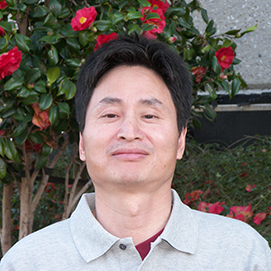 Song’s wide expertise includes environmental assessment (Phase I and II ESAs, soil borings and well design/installations, spill site characterization, UST removal, sampling and monitoring data collection, GPS surveying, onsite testing, modeling, permitting, reporting, project management, etc. ); process engineering (scoping and feasibility studies, numerical simulations of membrane filtration, ion exchange, and deionization, laboratory bench and pilot test design and execution, etc.) and system design (SVE, air/ozone sparging, ISCO, “pump and treat”, constructed wetland for sulfate reduction, acid rock drainage neutralization/heavy metal precipitation, industrial wastewater chemical pretreatment, membrane filtration, high purity water deionization, stream bank erosion control, storm water catch basins, mine site reclamation, equipment sizing, cost estimation, etc. ), water resources investigation (well design, pumping test, hydrogeological characterization, water quality, pumping and water supply, etc. ), waste management (waste characterization, planning and regulatory compliance, toxic release inventory, risk assessment, mining mill demolition, health and safety plans, etc. ), and research and development (extensive research, laboratory, numerical modeling, and field experience). Gail is a California Certified Professional Geologist with over 35 years of experience in project management and environmental assessments. Gail has led projects including planning and conducting all aspects of site characterization, soil excavations, tank removals, and soil and ground water remediation. She has extensive experience working with small and large commercial clients as well as local and federal government clients. Gail is currently managing characterization and remediation of multiple sites including a former Navy facility, where impacts include metals, pesticides, petroleum and volatile organic compounds in soil and ground water. Her work includes overseeing field efforts, data analysis and report preparation, regulatory liaison, and project scoping. Mrs. Rodolfi possesses a B.S. in Marine Biology and a M.Sc. in Environmental Management focusing mainly on wastewater treatment. Her work is based in lining up and coordinating projects focused on improvement of altered and polluted natural resources, mainly water resources and basins. Another aspect of her work is also linked to communities, small-scale projects that improve their environment as well as their life style. Her work in South America, mainly in Argentina and in Paraguay gives her a broad understanding of the environmental problems that come along with the cultural aspect. She is well known in Paraguay for her work with Lake Ypacarai and projects regarding its recovery. Leslie possesses a comprehensive academic background in environmental sciences, including geology, biology, and chemistry. As Lead Project Scientist at ERS, Leslie is responsible for assuring accurate implementation of work plans, sample integrity, project coordination, and scheduling of field efforts, as well as writing permits, contacting regulatory agencies, and report compilation. 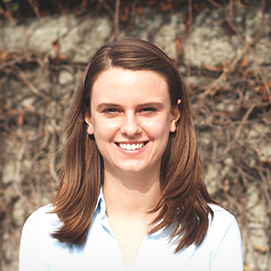 In addition, Leslie has considerable experience in GIS database design and management, which she uses to create figures visualizing data, from contaminant plumes to geologic cross sections. Leslie has taken part in numerous projects locally in the Bay Area as well as throughout South and Central America. 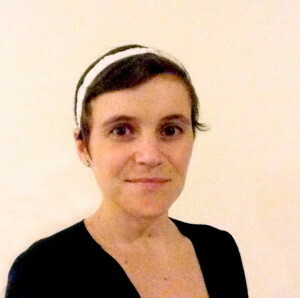 Tessa possesses a broad academic background in the biological sciences, including ecology, chemistry, and virology. Her education includes a strong research design and statistical background, having carried out two statistical research projects, both of which were presented at national conferences. Her responsibilities include data collection in the field, analysis, and report writing. 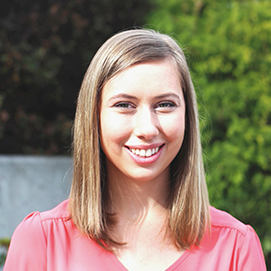 Alina has experience in a broad range of sciences ranging from environmental science to biochemistry. She has conducted two research projects in biochemistry and biogeochemistry, one of which was presented at the American Geophysical Union Conference in San Francisco. She is experienced in both laboratory and field settings. As a project scientist, her responsibilities involve report preparation, data collection, and field investigations. David recently joined ERS to develop the business and financing side of this successful environmental science and engineering company. David has put into place business and financing solutions to offer a full package for ERS clients. David’s background consists of 17 years in the financial service industry and over 10 years running a rapidly growing eCommerce company. David traded and underwrote municipal bonds for various investment banks and specialized in California Tax Exempt Finance. He worked with public finance bankers to finance water districts, schools, and other California infrastructure projects. Charles brings significant executive-level experience to the strategic development and management of transportation services. He has worked for a variety of companies and public agencies, including Shell Oil Company, City of Oakland, the University of California – Davis, and both air and sea port authorities. Charles served as the Assistant Director of Aviation at San Jose International Airport, San Jose, California for six years. Charles subsequently served in several key executive positions at the Port of Oakland, including Director of Aviation, Deputy Executive Director, and Executive Director of the Port of Oakland. In this capacity at the Port of Oakland, Charles oversaw all operations at the fourth largest seaport in the U.S. and among the top 20 seaports in the world, all airport operations, and 19 miles of commercial real estate development, including hotels, restaurants, office buildings, theaters and other retail activities. Daniel has substantial experience with environmental analysis, site histories, archival and library research, database and GIS design and management, permitting, and library management and planning. He brings a diversity of experience in hydrology, water resources, geomorphology, land use planning, ecology, and historical geography. 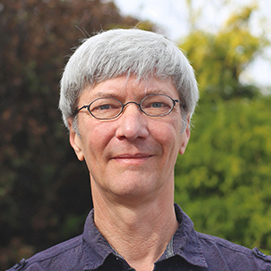 He has performed many literature and archive research projects, with emphasis on interpreting aerial photographs, public records research, and developing digital and web-based libraries. Daniel has an M.A. in Geography and an M.L.I.S in Library & Information Studies from the University of California at Berkeley.